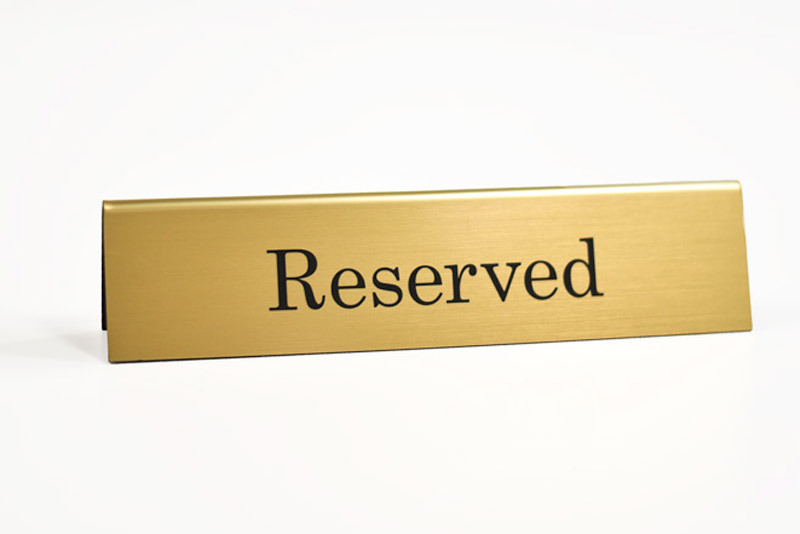 Mark tables in restaurants, seats in theatres, and benches for weddings with these double-sided 9"W x 2"H Reserved tent signs. Our folded tent signs are made of a 1/16" thick durable acrylic material with laser engraved text for a professional, crisp look. 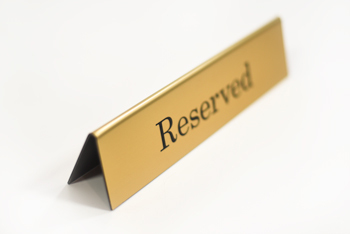 The text on these tabletop counter signs can be seen from both directions, making it clear to the public that sections, tables or seats are reserved. 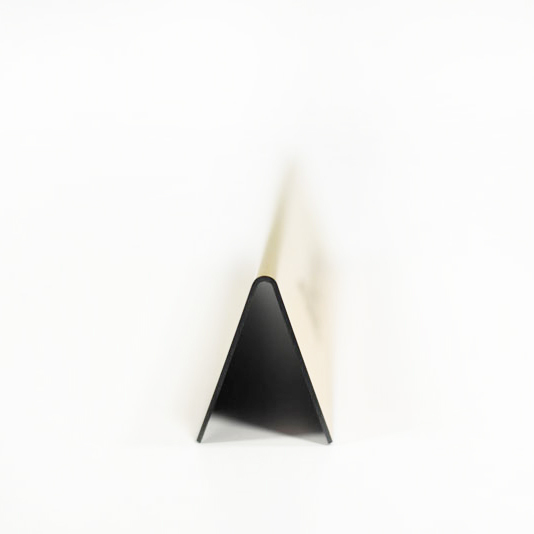 Choose from a variety of color combinations and finishes to find the best match for the overall decor in your place of business. 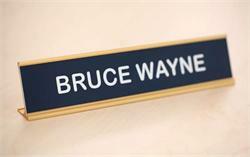 If you require a color, size or style not listed here, please contact us at service@officesigncompany.com or via phone at (701) 526-3835 with all of your details. 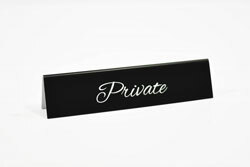 10" x 2" engraved door signs and desk signs with black frame or silver frame. 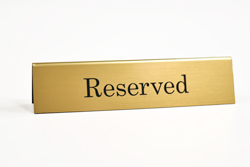 Engraved name plates with stylish, architectural grade metal frame. 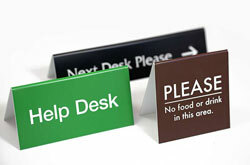 Engraved office signs with free text, logo personalization. 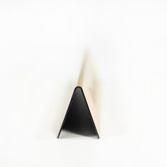 A-Frame desk sign and counter-top office sign with free text personalization. 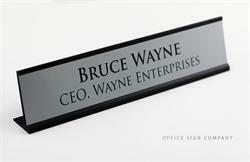 Architectural-grade metal, 2-sided name plate in black or satin silver with custom metal nameplate inserts. 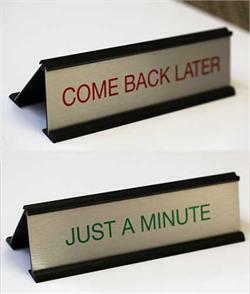 Easily rotate custom messages for counters, check-ins and more.